Combined patterns he observed in Sri Poonja-ji�s work with his earlier experience of 15 years in Transpersonal Psychology. 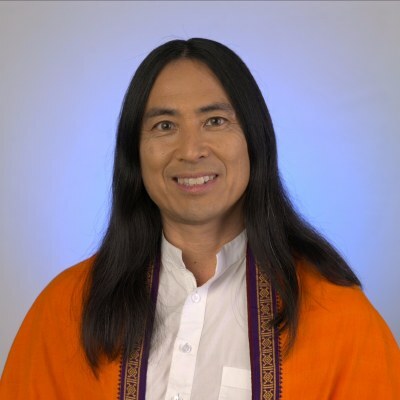 Out of this came a methodology Yukio Ramana calls "Radical Awakening," a powerful tool to aid the spiritually motivated to reside effortlessly in the Pure Awareness of the Self. Poonja-ji gave his personal blessings and support to the work. "Sometimes it is possible to experience something so deeply that it shifts everything forever." "At one point, the seer and �sought� join as one, and consciousness directly experiences itself as Itself, without the interference of the personality. From there, the personality is clearly experienced as a mechanism which operates within the larger field of Consciousness, where consciousness is literally untouched by anything of the mind. Consciousness then �awakens� to its existence through its direct perception of Itself�which is classically defined as an awakening."